For a limited time only, AT&T is running a BOGO deal on the 64GB Apple iPhone 8. First, you need to buy two phones using AT&T Next (30 monthly payments of $23.34 for each iPhone 8) or AT&T Next Every Year (24 monthly payments of $29.17 for each unit). Those existing AT&T subscribers wanting to partake in the BOGO need to add a new line, and make an activation payment of as much as $45 for each phone. New subscribers need to pay a minimum of $65/month for new service on two lines, with autopay and paperless bill discount. Until the discount kicks in, you'll be paying a minimum of $75 a month for service. And the activation fees still apply for new subscribers. After three months, you will start to receive monthly bill credits of $23.34 on Next and $29.17 on Next Every Year, which essentially makes the second iPhone 8 free. And here's the thing. Let's say that you want the second free phone to be a 256GB iPhone 8 or an Apple iPhone 8 Plus. This can be worked out as long as you pay the difference between the monthly bill credit you are receiving, and the cost of the higher priced phone using the 30 month or 24 month installment plans. For example, let's say you want a 64GB iPhone 8 Plus. That would cost $26.67 over 30 months using Next. Subtract the $23.34 bill credit that you're entitled to, and the iPhone 8 Plus would be as low as $3.33 a month over 30 months. The 256GB iPhone 8 costs $28.34 a month on Next. With the monthly bill credit, you will be paying $5 a month for 30 months. Again, this is a limited time offer. For more information, click on the sourcelink or visit your local AT&T store. 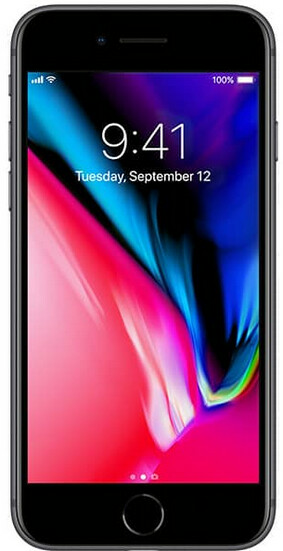 They should get a deal going for the X, they know units are just sitting in the warehouse. if that's true, makes me wonder how bad are sales for every android phones? From what my buddies say that work at VZW and t mobile the only Android phone that actually sells are the Samsung's s8 line and cheap Androids like prepaid.